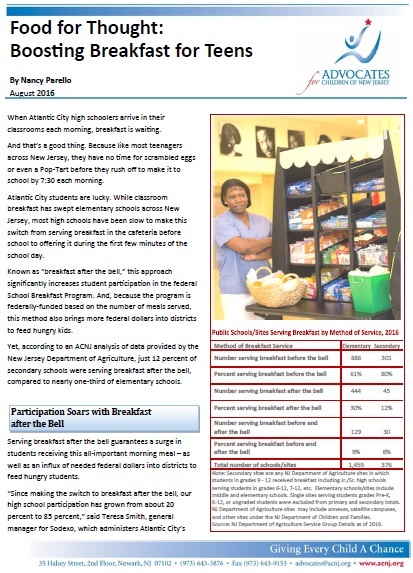 To learn more about joining a local coalition or for advocacy assistance in promoting school breakfast, contact Reginald Dorsey at rdorsey@acnj.org or Lisa Pitz at lpitz@cfanj.org. For other information about the campaign, contact Adele LaTourette at alatourette@njahc.org or Nancy Parello at nparello@acnj.org. Our resources page provides contacts to help communities implement effective child nutrition programs. Manchester HS kicks off Grab N Go breakfast.